LOS ANGELES (AP) — A decade ago, the Rosebud Sioux Indians in South Dakota were paying people to catch and shoot wild dogs. Dogs that weren't caught were covered in mange and parasites. Some froze. Some starved. In packs, they survived by eating each other. And dog bites were 20 times worse than the national average. "The reservation is a better place. ... This is easier to explain in Lakota than in English, but dogs are a part of our lives. They have been in the past, and they will be in the future. 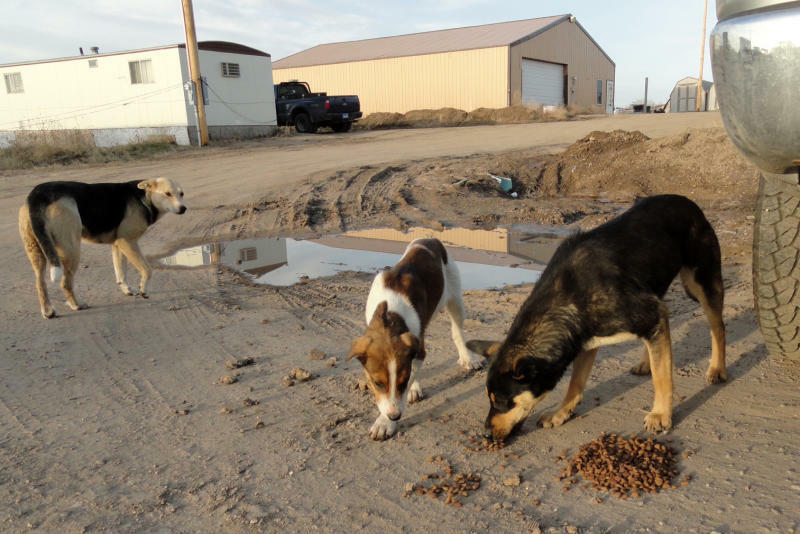 To be able to take care of them is so important," explained Belva Black Lance, a Rosebud Sioux community advocate who helps with the dog program.